Every single time a customer comes in contact with your brand, whether it’s in-store or online, each interaction is a touch point that contributes to the customer experience. Consumers are demanding more and their choices are ever expanding, which means that better service and improved experiences will lead to greater customer loyalty. But how do you know where to start and what to measure? These 10 customer service, customer experience and customer expectation statistics are what you need to know for the coming year, and beyond. Downplaying the importance of the customer experience is no longer an option, as the voice of the customer continues to get louder. Here are some jaw-dropping statistics to help shed light on why the customer experience cannot be ignored. With 68% of businesses increasing their customer management spends, the customer experience will reign as the primary investment in 2014. According to a CEI Survey, 86% of buyers will pay more for a better customer experience, but only 1% of customers feel that vendors consistently meet their expectations. Tip! Try testing out your own brand to measure the experience. Fill out the online forms, find an answer to your question on self-service and phone the call center. Is it up to your standards? You simply can’t overstate the importance of customer service on a company’s bottom line. When every interaction is amplified via social media, delivering a superior customer experience matters more than you think! 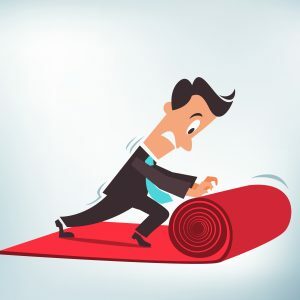 Roll out the red carpet for each and every customer and you’re bound to reap the benefits. 82% of consumers say the number one factor that leads to a great customer service experience is having their issues resolved quickly. What do your customers think of your brand? Would you say that they’re evangelists, or are they simply satisfied? Tip! Initiate a survey campaign and implement changes based on feedback. Then, measure the results to see if an overall improvement was made. This should be an ongoing activity. Social media has gained more and more traction, but only one network is being used by more than half of businesses: Facebook. Consider these stats when discussing a Facebook strategy. It’s not enough for companies to simply have a social media presence. Consumers expect the same level of response regardless of whether the channel is Facebook, Twitter or a phone call. Tip! While customers may prefer a social channel for convenience, successfully resolving issues will often require a phone call. Don’t miss the last 6 statistics! Download the full report below. 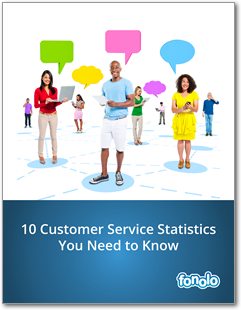 10 Customer Service Statistics You Need to Know!